The time has come for No 12 UCF to face off against one of the country’s most respected programs in the nation in No. 7 Auburn in the Chick-fil-A Peach Bowl. The Knights will be playing in arguably the biggest game in school history and will be gunning to complete a perfect season at 13-0. Scott Frost, who will coach his final game with the Knights before heading off to take the same position at Nebraska, brings one of the most potent offenses in the nation to Mercedes-Benz Stadium. The Knights lead the country in points per game, coming in with an average of 49.4. UCF’s offense will be in against Auburn’s stiff defense, which is allowing just under 18 points per game defensively. Kickoff is slated for 12:30 p.m. today and the game will be aired nationally on ESPN. We take a look at a few keys to today’s game for UCF. The Knights have one of the most dynamic offenses in the country and Frost had a lot to do with bringing over a fast breakneck system from Oregon. Though the Tigers have seen most everything having played in the Southeastern Conference, the Knights shouldn’t and won’t play into slowing things down at all offensively. A lot of what UCF does runs through the talents of starting quarterback McKenzie Milton, who has thrown 35 touchdown passes and is averaging over 350 yards of total offense per game for the Knights. His efficiency must be on point for No 12 UCF to pull off the upset today. UCF’s defense gives up yards and points, but the offense always seemingly finds a way to score enough for the Knights to win. High scoring affairs against USF (49-42) and Memphis (62-55) were examples of the Knights’ defense giving up a lot of points and yards. Auburn’s offense is led by Baylor transfer Jarrett Stidham, who threw for 2,827 yards this season. Paired up with SEC Offensive Player of the Year Kerryon Johnson, Stidham and the Tigers form one of the toughest backfields to defense against in all of college football. 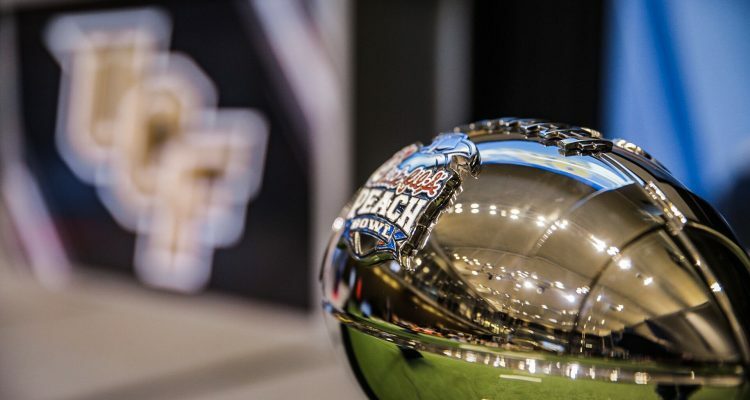 Auburn comes into the Peach Bowl as 12-point favorites over UCF, which should weigh heavily on the minds of every Knights’ player. 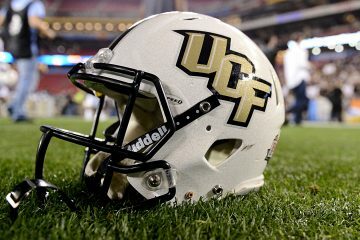 UCF hasn’t received much respect from voters throughout the year, despite being the lone undefeated team left in the AP Top 25 Poll. A win today would help validate that No 12 UCF is on par with the best programs in the nation. 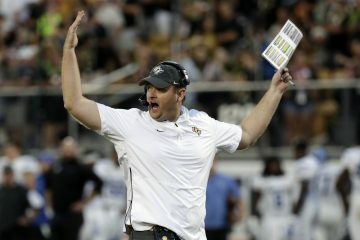 Gimmicks and gadget plays could see a role on UCF’s end here today, as many underdog teams in the past have tended to pull out everything from their respective playbooks. 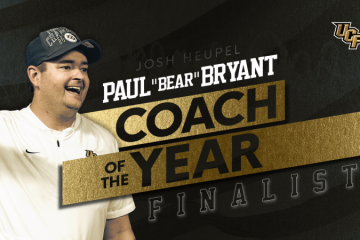 With skill players like Adrian Killins Jr. and Tre’Quan Smith in the wings, expect Frost and his assistants to pull some tricks out of the playbook in their final hurrah in the black, white and gold.